"Wiltime Bigtime" host Shalani Soledad won the OMG! Celebrity of the Year Award. 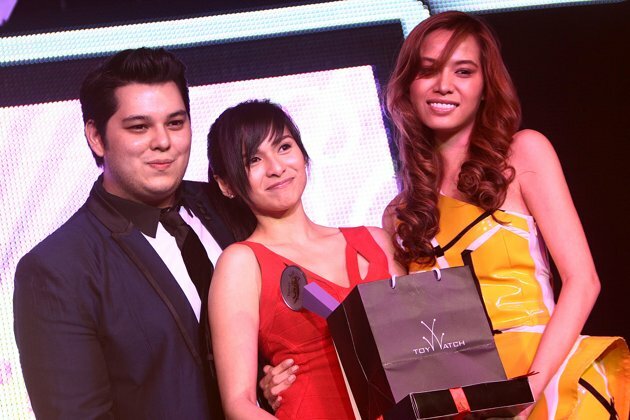 Shalani Soledad and Shamcey Supsup topped the first Yahoo! OMG! Philippines Awards held on Tuesday, June 21, at the Republiq Bar in Resorts World, Pasay City. The OMG! Celebrity of the Year is given to the most searched showbiz celebrity while the OMG! Major Impact award is given to the most searched non-showbiz celebrity. The nominees for the Yahoo! OMG! Award for Hottest Actor of the year are Marian Rivera, Angel Locsin, Jennylyn Mercado and Anne Curtis. 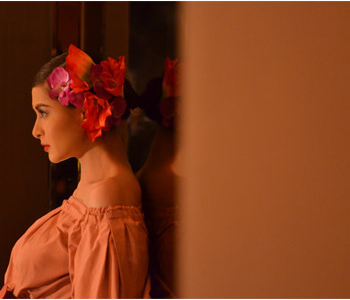 People were expecting either Angel Locsin or Marian Rivera to win this category but Jennylyn Mercado made an upset during the awards ceremony Tuesday night (June 21, 2011) held at the Republiq Bar in Resorts World Manila, Pasay City. Teresa Herrera in Editorial for Rogue Magazine May 2011. Hang Ten "Forever Summer" Ad Campaign 2011 featuring Krista Kleiner and Reco models. Krista won the Binibining Pilipinas-International 2010 (Miss Philippines International 2010) and received two major awards-Miss Talent and Best in Swimsuit. Before winning Miss Philippines International, she had won several beauty titles including Miss USA Philippines 2007, Miss Pistang Pilipinas Queen of Tourism 2004, and Miss Young Philippines USA.Krista was a finalist, won "best in talent" and the title of Miss Expressive 2010 at the Miss International pageant held in China while representing the Philippines on November 7, 2010. The real life couple Danita Paner and JC De Vera intrigues in JC De Vera's new teleserye in TV5 named "Utol Kong Hoodlum", where Jasmine Curtis-Smith is her leading lady. JC De Vera in the issue that he was a guy who easy to fall in love in her leading ladies like Rhina Ramos and Danita Paner. Wala bang selos or threat sa part mo Ms. Danita? Bonus factor ba kapag magkasama sila ni JC sa isang show (Hey, Saberdey!)? Eight months na raw ang relationship niyo? "Kapag naiisip namin, parang ang bilis. Ang daming nangyayari kasi taping nang taping, hindi mo namamalayan ang oras kaya nakakatuwa. Walang away, tampuhan sa loob ng walong buwan? Meron, siyempre. Hindi naman kami perfect couple. Pero wala naman yung nag-cool off, nag-break.Meron din naman na mga major away, pero naayos din naman agad.Minsan umaabot din ng days na may problema, pero yun na siguro ang pinakamalala.Ang importante, naaayos pa rin namin at may communication pa rin. Naghihintayan lang talaga." Imelda Schweighart, also known as 'Aimee' or 'Imee Hart', a 15-year old Filipina-German, is the newest recruit on TV5's evening primetime game show, “Willing Willie”, currently named "Will Time, Big Time". She was once a contestant in one of the games, and just after a few days Willie Revillame took her in for a hosting job.